Contact Florida Cruise Ship Accident Attorney Gerson & Schwartz, P.A. Cruise liners spend millions of dollars on advertising aimed at the passenger experience and a safe work environment portraying the cruise experience as one where your enjoyment and safety are paramount. What they do not tell you is the lengths to which they have gone to protect themselves from potential civil liability if an accident, violent crime, or serious injury occurs on their ship. If you are a crew member and seriously injured on a cruise, our team of cruise ship injury lawyers have some sobering news: The fine print hidden on the back of a cruise ticket contract written in such small font and attempts to protect most cruise liners from responsibility for their negligence, or the unseaworthy nature of the vessel. Cruise lines operators are able to do so by enforcing provisions in their employment contracts that require their employees to file disputes pursuant to voluntary binding arbitration. Crew members accidents are common. Just like cruise line passengers and many other employees crew members are required to sign legally binding contracts with the cruise line as condition to employment. What many crew members do not realize is that you are probably unknowingly agreeing to voluntary binding arbitration. This means that you are limiting the forum you may file a legal claim when you are injured due to a slip, trip, or fall accident, or are sustain a serious injury on the vessel. Trial by jury is recognized in the US Courts as a means of resolving legal disputes. Arbitration is used as a substitute to formal court proceedings such as United States Courts of law. In 1925, the Federal Arbitration Act was signed into United States law. Arbitration is form of alternative dispute resolution. If a contract or agreement contains an arbitration law, these clauses force courts at every level to enforce the arbitration accords that many businesses, including cruise operators, have utilized in numerous contracts. It is no surprise that cruise line industry includes arbitration clauses in their cruise ship employment or seafarer agreements. Some arbitration clauses are even found in passenger ticket contracts too. Arbitration provisions can be binding and non-binding. Many cruise ship operators and businesses have been successful in numerous enforcement proceedings. By some estimates, arbitration has been held enforceable 95 % of the time. Yes, you read that correctly. Arbitration clauses are usually held to be enforceable is usually required when a crew member sustains a serious injure in a maritime accident. Injured crew members also unknowingly sacrifice their legal rights to pursue punitive damages, or to claim compensation for emotional distress against the cruise liner for the injuries or the death of a loved one. This is because most of the cruise line contracts with Carnival, Royal Caribbean, Norwegian, Silver Seas, Holland America and Disney Cruise Lines, include an arbitration clause in their employment contracts. This clause limits the substantive legal rights of crew members such as waiving the right to file a civil claims in a United States courts of law, and have their case heard before a jury. Most crew member accident arbitrations are held before the AAA or American Arbitration Association. The forum of arbitration will usually depend on the terms and clauses agreed to in the employment contract. Many arbitration provisions require the parties to arbitrate in foreign soil. Cruise ship arbitrations also differ from jury trials in the sense that the arbitrator decides the case. There are no jurors. The rules of evidence that may apply in an arbitration may also vary depending on the forum location. These clauses are all intentional hurdles put in place to stifle injured crew members from seeking significant restitution through in the United States civil justice system. If you're a crew member that is subject to arbitration you need experienced legal help to assist you. A cruise line has a significant advantage in an arbitration setting. Why? Because the business the legal protections under the United States civil justice system are simply not available. Different rules apply. Another reason is that the cruise line has some say in selecting the arbitrator, or who will hear the dispute. If they have the opportunity, the cruise line routinely picks the arbitrator with a track record of deciding in favor of the business. Yes. Especially, if you are an injured crew member on Carnival Cruise Lines, Royal Caribbean, Norwegian, Disney Cruise Lines, or Holland America. Our cruise lawyers have experience representing injured crew members in arbitration proceedings. Our attorneys understand how to handle claims before the American Association of Arbitration and International Center for Dispute Resolution. If you are an injured crew member it is wise to hire an experienced lawyer so that the cruise line does not succeed in trying to gain a strategic advantage. Carnival Cruise Lines and Royal Caribbean for instance have their legal team participate in hundreds of arbitrations per year. Injured crew members will probably participate in an arbitration just once in your entire life. Common sense dictates that a professional arbitrator will have a financial bias towards favoring the cruise line since they want to generate more business. An arbitrator who decides in favor of the passenger probably will not get hired again by Carnival or any of the other big cruise lines. For these reasons, you need experienced legal help to assist you and to protect you. Many cruise liners require injured passengers to notify them within six months of the injury of their intention to file a personal injury or wrongful death lawsuit against the liner. Injured crew members rights are usually governed by the terms of their employment contract. Depending on the agreement, an injured crew member typically has 3 years to file a claim. However, the terms of every crew member agreement varies so you should always contact an experienced crew member injury lawyer to assist you with your claim. Despite the validity of arbitration clauses crew members don't be alarmed. At Gerson & Schwartz, our team of maritime and cruise ship attorneys understand the procedural obstacles arbitration clauses pose for injured crew members that need legal help. Regardless of whether you sustain a serious to catastrophic injury, or you are a seafarer injured due to mechanical equipment error, a dangerous floor surface, or sustain serious bodily injury due to the unseaworthy nature of a vessel, our attorneys are here help. Other work place type accidents. As you can see, you need experienced legal help so you can take action against a cruise line. The cruise ship accident attorneys at Gerson & Schwartz, PA are here to help. We have experience assisting injured crew members in numerous arbitration proceedings. 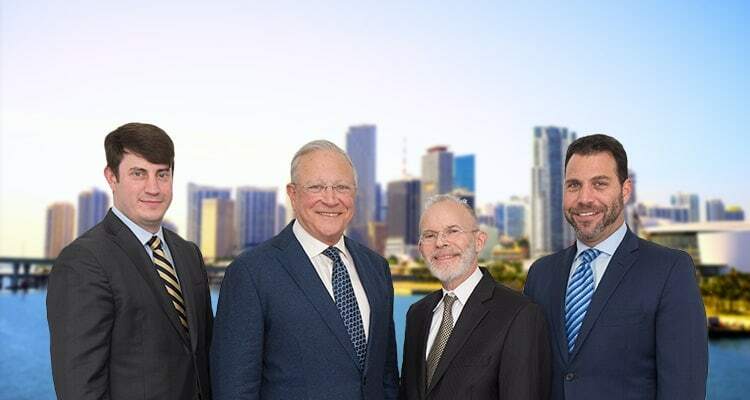 The lawyers at our firm are also licensed to practice law in all Florida state and federal courts and are affiliated with other lawyers in numerous jurisdictions throughout the U.S. and overseas. Contact our Miami, Florida law offices today to set up a free, confidential consultation.